Wedding PR: Richmond Bride, WeddingWire Pro, Seattle Bride and More! We have a new round-up of features to share with you all! This week’s list includes some of our favorite publications, including Richmond Bride and Wedding Wire Pro. Continue on to find out where you can spot us in the press! Stephanie Yonce Photography and Historic Mankin Mansion are gracing the webpages of Richmond Bride with a lovely feature! Sarah and Jordy’s Richmond wedding was the perfect mix of Los Angeles flare and southern comfort. Take a look inside the couple’s Big Day here! Our friend Jennifer from Taylor’d Events is sharing her expertise on WeddingWire Pro regarding setting boundaries. 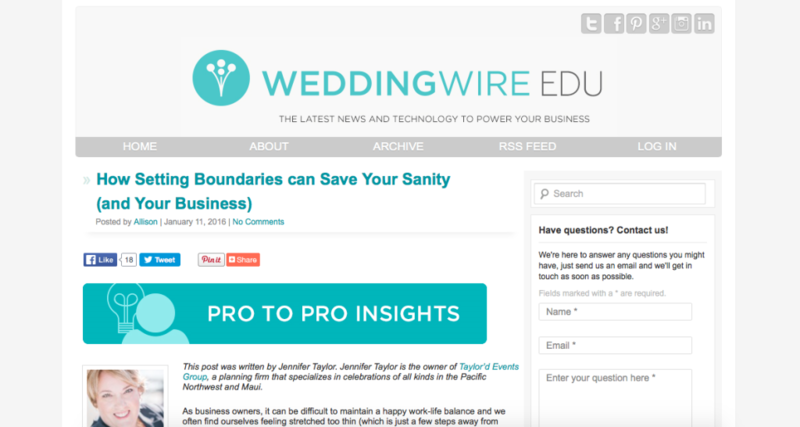 Learn how you can keep your sanity and run a successful business at the same time here! 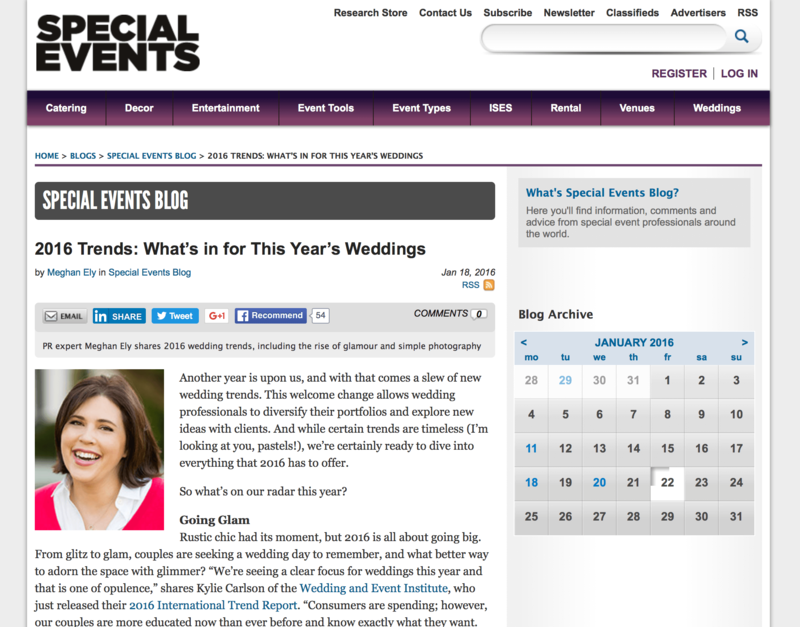 Taylor’d Events has yet another wonderful feature! For this go-round, Seattle Bride is playing host to their lovely bohemian-inspired resort wedding. Check out the couple’s Special Day here! 100 Candles and Fantasy Sound are sharing advice on how to incorporate beautiful lighting into your wedding at any budget. From LED lights to candles and uplighting, there’s an option for everyone couple! Give the article a read here! I’m a self-proclaimed trend-lover, so I had a blast writing this piece on 2016 trends for Special Events. Thanks to my friends at Wedding and Event Institute, Azazie, 100 Candles, Fantasy Sound Event Services, Destination Weddings, Kaysha Weiner Photographer, and Taylor’d Events – their help made this possible! Tune into the full article here.